It might seem scary at first but after you've been there for a week it is not so scary. 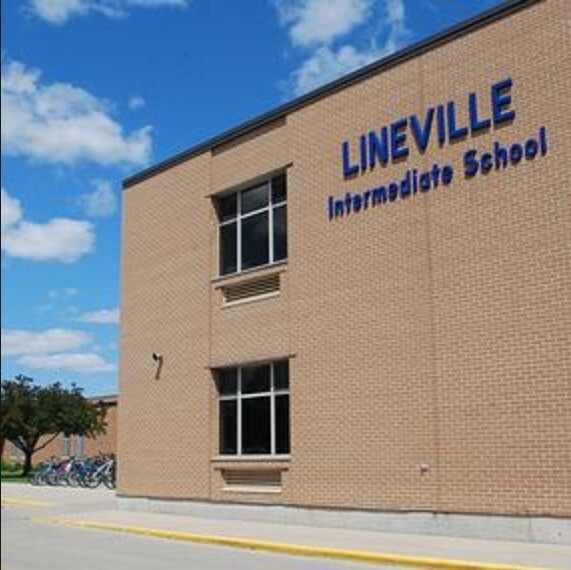 Here are some tips about Lineville. At Lineville you get to pick from 3 different music choices. The first choice is orchestra. In orchestra you have 4 instruments. One of the instruments are violin. The best thing about the violin is that if you took piano lessons it will be easy. The second thing is the viola. The viola is another instrument. The one thing that I know about the viola is that it is the only instrument in orchestra that can read two different kinds of notes. The two kinds of notes that the viola can read is the base/cello and type of music the viola is assigned to ( I would tell you the name of the violas music if I played the viola but I actually just played the violin not viola). The last two are the bass and cello. 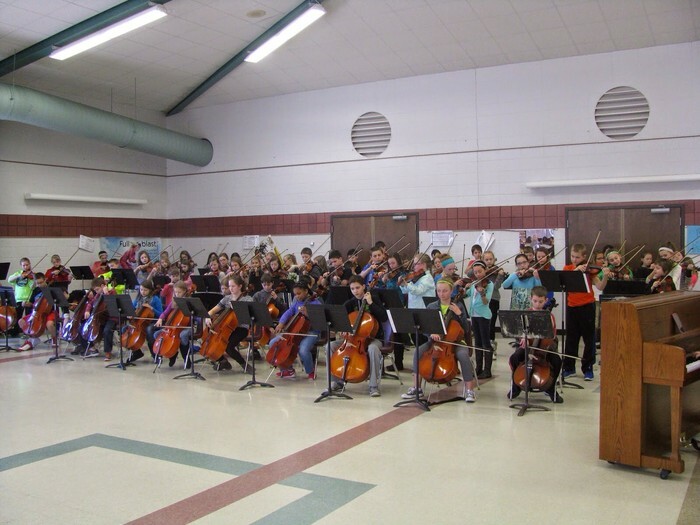 The base and cello is the most lowest instrument in orchestra. Because they're so heavy this is Mrs. Novak the orchestra teacher provides the base and the cello for you but it would be nice if you have your own instrument to practice at home because you cannot bring the instruments that you are borrowing Mrs. Novak. That is why I love orchestra. Now I am going to tell you about band. Band is one of the three options you can pick. In band they will give you a minor if you do not have your instrument. Here are some instruments in band...Trombone, flute, trumpet, snare drum, clarinet, baritone. The teachers names are Mr. and Mrs. Zipperer. 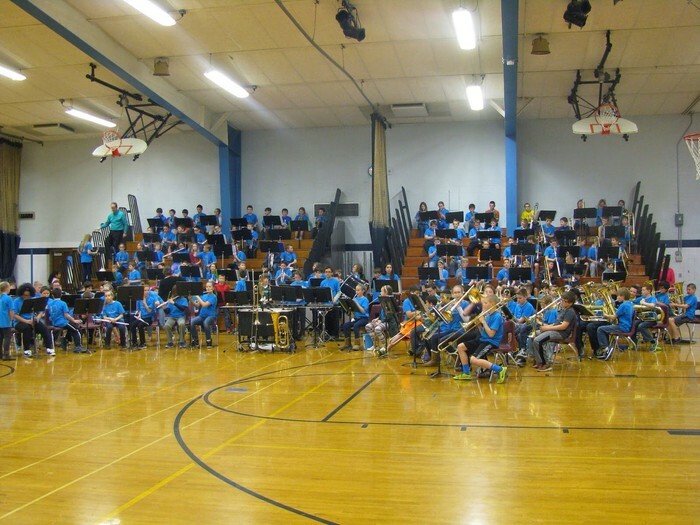 Band is another fun music choice. Last but not least I will be telling you about choir. You will be singing in choir. What I hear is the teacher is nice but can be strict. 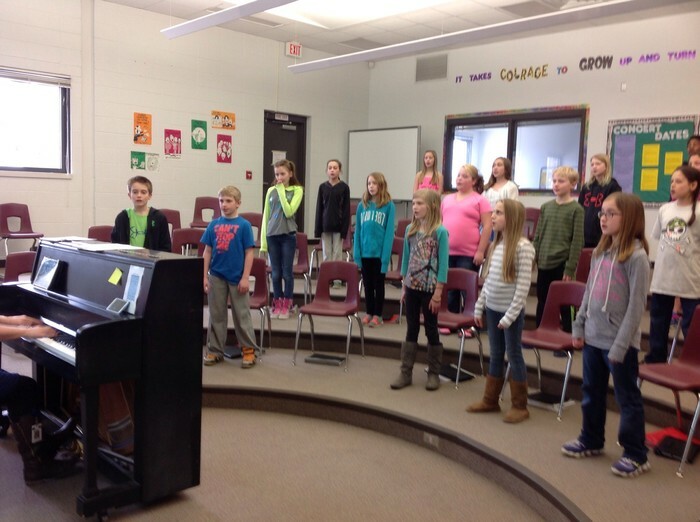 When you get in to choir you will have to do 4 warm ups a day! If you think about it you would have to that 3 times a week! Well that is all the music choices and I hope you will pick the right one! Here are some things you should know about lockers. First, you should know how to do the combination and it's very important to know your locker combination. First you go right two times to clear it out. Then you stop at your first digit. After you stop at your first digit, you want to go left and pass your second number once then stop on it the next time you see it. Then when you stop at the second number you go right again and stop when you see your third number. The last thing you do is pull down your lock so it opens. Now that you know how to get your locker open, I'm going to tell you how you could organize your locker. Make sure you have room for gym clothes and a violin or viola if you or if you have something else. You can fit your violin or viola and some band instruments, if you have one, in your locker if you don't have a lot of things in your locker. It would be nice if you have a shelf that goes on the bottom of your locker so you can put your boots under it when it is winter. It would be nice for your boots or extra shoes to go under there so your instrument can go in there without having your instrument on top of your boots or next to it because you have a little space. If you don't use all your notebooks and art supplies ,put them on your shelf in your locker. If you show your teacher you get a acknowledgement card! If you keep your locker clean it helps you a lot because you just need to tidy up your locker. At Lineville we have Negative and Positives things. The positive things at Lineville are you get incentives. Each house has different incentives. I know what Clubhouse does for an incentive because I am in Clubhouse. The incentives we do in Clubhouse are dodgeball, capture the flag, ice cream sundae and movie & popcorn! There is only 1 way to get into an incentive. The way you can get into an incentive is if you get 2 or less minors and no majors. That is your house incentive but you have school incentives too! The school incentives are dancing, movie, Gnome games, and bouncy house. The way you can get into the incentive is if you get 2 or less minors and no majors. You can earn Acknowledgement cards which are the same as paw points. The only thing that is different is you have to get 30 to get something. The stuff you can get are free choice pass for an class period, eat in the teacher's room, late homework pass, listen to music for a class period (at Lineville you have class periods), half an homework assignment, pencil, and wear sunglasses for the day. The only thing that is different is at Lineville there are noons and MASH. Noon is when you do not do your homework and you go to a classroom during your lunch to finish your homework. Some people go noon and MASH MASH is when you do not do your homework 5 times I think. That is all the Positive and Negative things here at Lineville.